Maryna Linchuk for Marie Claire Spain June 2018. Maryna Linchuk for Shape Magazine April 2018. Maryna Linchuk for Marie Claire Spain April 2018. Maryna Linchuk for Vogue Spain November 2017. Maryna Linchuk for Elle Russia November 2016. Maryna Linchuk for L’Officiel Russia September 2016. Maryna Linchuk for Vogue Japan January 2016. Maryna Linchuk for Harper’s Bazaar UK September 2015. Maryna Linchuk for Glamour USA February 2015. 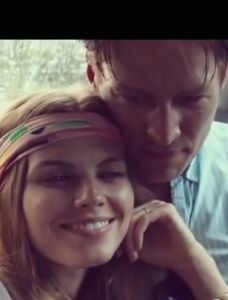 James and Maryna: Waves by Mr Probz. Maryna Linchuk for Vogue Spain May 2014. Maryna and Robyn for the Chantelle Lingerie F/W 2013 Campaign. Maryna Linchuk for Vogue Russia December 2013. Maryna Linchuk for Vogue Paris November 2013. Maryna Linchuk for Vogue China. Maryna Linchuk for Allure Magazine Russia, May issue. Maryna Linchuk for American Allure magazine, March issue. Maryna Linchuk for Vogue Japan, March issue. Maryna Linchuk for Vogue Japan, December issue. 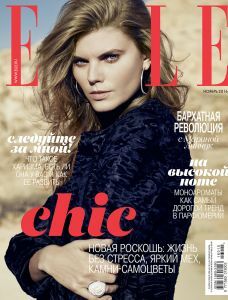 Maryna Linchuk for Russian Interview, October issue. Maryna Linchuk for Vogue Russia, September issue. Maryna Linchuk for the cover of Vogue Spain, September issue. Maryna Linchuk for the Joop campaign, F-W 2012. Maryna Linchuk for Vogue Japan, June 2012. 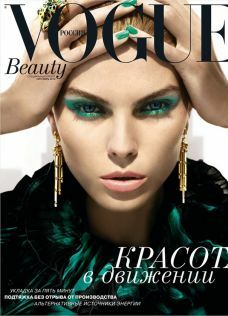 Maryna Linchuk on the cover of Vogue Russia, May 2012.
maryna linchuk on pop magazine, S-S 2012, issue 26. Maryna Linchuk for German Vogue, March issue. Maryna Linchuk for Vogue Spain, January issue. Maryna Linchuk for Muse Magazine, winter issue. Maryna Linchuk for Vogue Japan, January issue. Maryna Lynchuk for Russian Vogue, November issue. Maryna Lynchuk for Vogue Mexico, November issue. Maryna Lynchuk for Dolce & Gabbana, F-W 2011. Maryna Linchuk on the cover of Vogue Russia, may 2011.